You can't make this stuff up - it looks like Game is now looking to snap up part of HMV. Yes, Game Group, owner of the video game retailer that was a cat's whisker away from completely collapsing last year until investment firm OpCapita swept in and picked it up for a song. OpCapita is also the company that bought Comet in its death throes and failed to turn it around. 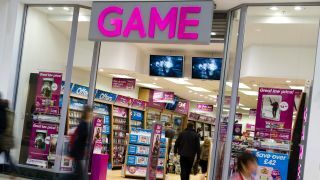 The reports of the game sellers interest in HMV and some of it's high street shops come from Game CEO Martyn Gibbs, speaking to the Financial Times. He said that the company had made contact with HMV's administrators to express interest in "an unspecified number" of HMV stores. Game isn't the only one thinking that it can make something of the rotting remains of the much-loved yet crucially not-used-all-that-much retailer. Around 50 other parties have shown an interest in HMV, according to anonymous sources quoted in the Financial TImes - it's thought that many of these are investment and private equity firms. So there may be life in the old dog; it's just not official who his master will be yet.